Our U12- 25 day program is a progressive and fun program for 10 and 11 year old athletes who wish to continue with a challenging ski program minus the increased cost and family involvement required of the 45 day program. There are approximately 3 races in the season, both at home in Jasper and away at other ski areas. The U12 25 day program normally trains every Sunday during the Winter. Alongside Sunday training there are occasional mid week camps during the holidays. There is a strong emphasis on ski improvement, fun and continued involvement with ski racing. Use our Contact Us form to get in touch with further questions! Our U12 Plus - 45 day program is designed for U12 athletes who are wishing to take their race training to the next level. Often they will be looking to join the U14 program the following year. There are 20 more days on snow than the regular U12 program and as such there is a higher level of intensity and greater family commitment. However, having fun at training is still an important goal! 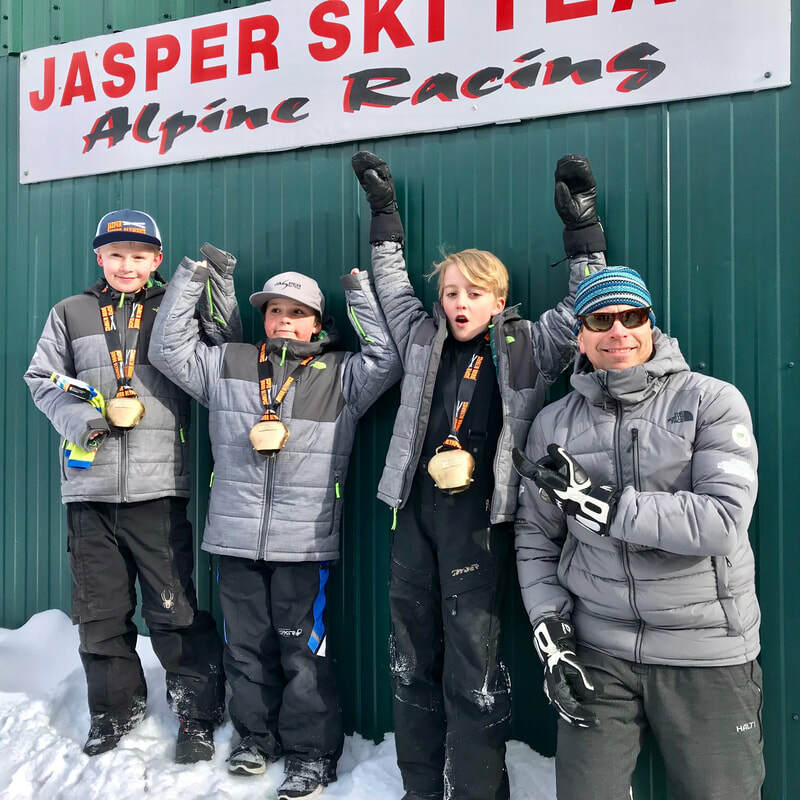 There are approximately 5 races in the season, both at home in Jasper and away at other ski areas. Training generally takes place on the weekends, but there are also occasional mid week camps which may coincide with holidays, teacher's conventions or pre-race day training.